The Fuzz was our entrance into the world of proper big rigs. In 2013 Sam Pilgrim rode the prototype during the Red Bull Rampage, but its real premiere took place in 2015 - which actually wasn’t that long time ago! Looking back at those 3 years we must admit - that was hell of a ride! Apart from being whipped and flipped by the slopestylers such as Sam or Max Fredriksson, it has proven to be a pure racing machine, taking podiums at major DH events worldwide! 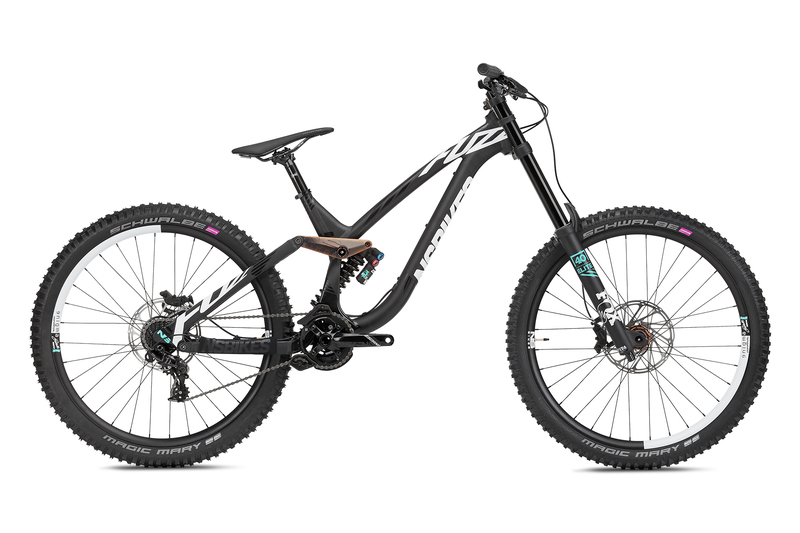 The boys and girls from NS Bikes Factory Racing have tested the Fuzzes on the toughest courses in the world. 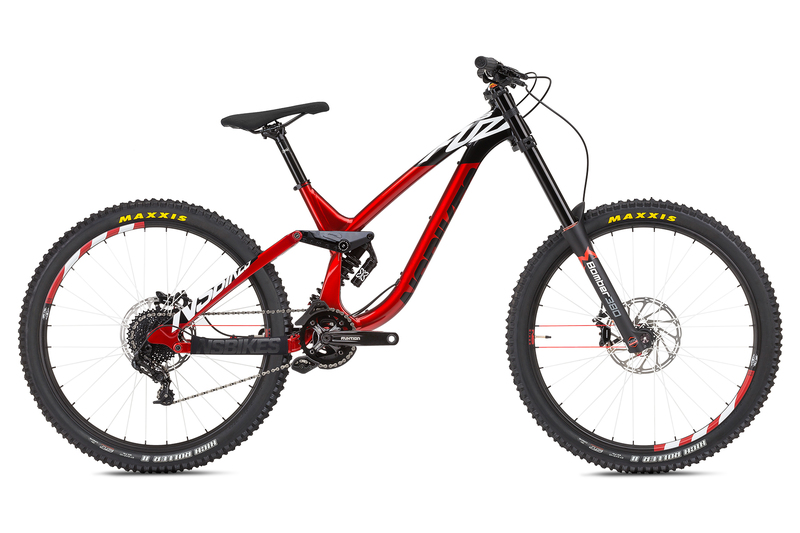 Basing on the cooperation between the team and our R&D department, the 2018 frame has undergone some major tweaks. Probably the biggest ones, since the Fuzz was launched. First of all - we’ve changed the headtube from tapered 1 ⅛” - 1.5” to straight 1.5” and equipped the frames with our custom adjustable headset. 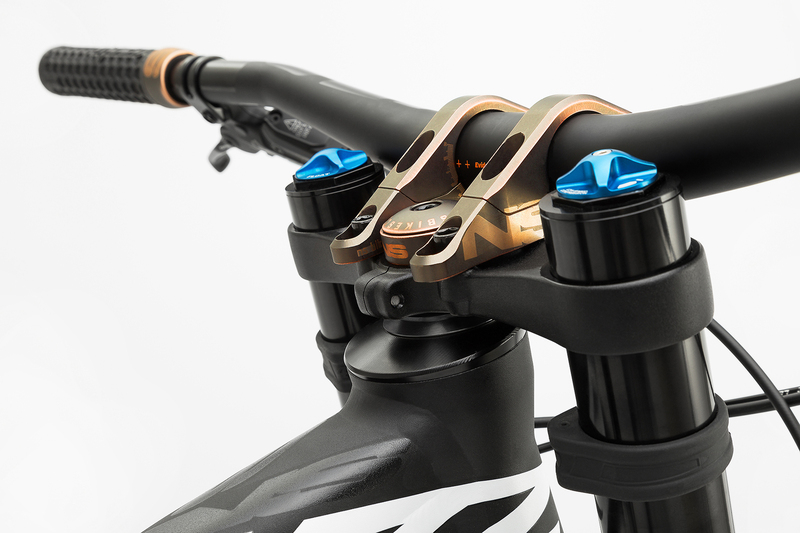 Thanks to this move it’s now possible set up the bike’s reach to your own preferences. There are 3 steerer possible positions: -8 mm, 0 and +8mm. This means that each frame size is actually 3 in 1! The second change affected the rear triangle. We’ve decided to make the chainstay length proportional to the size of the frame - meaning that the CS is shorter in the smaller size and longer in the bigger. The idea is to grow the bike proportionally in every direction. By doing this, we’re gaining a better FC-RC balance which is a key factor in avoiding over or under steering. You may do even more rear end adjustments thanks to the 2-position dropouts (+/- 15mm), to make your ride just as you want it! Thirdly, we’ve revised the other aspects of geometry. For instance, the headtube angle went 1 degree slacker (is now 62.5) and the BB went down for more stability and better traction on the most difficult segments. Our downhill boy got even badder! 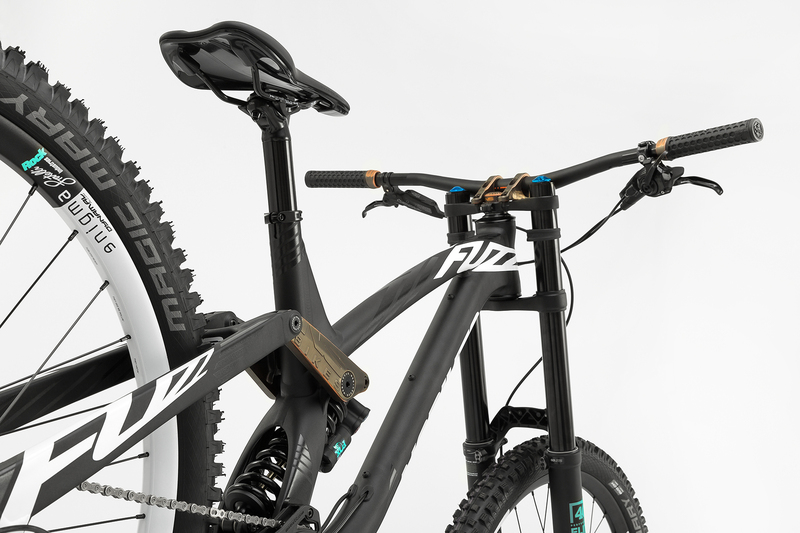 The Fuzz comes, as usual, in two spec versions: Fuzz 1 equipped in Fox suspension and Fuzz 2 with Marzocchi / X-Fusion combo. There are more specification differences, obviously. 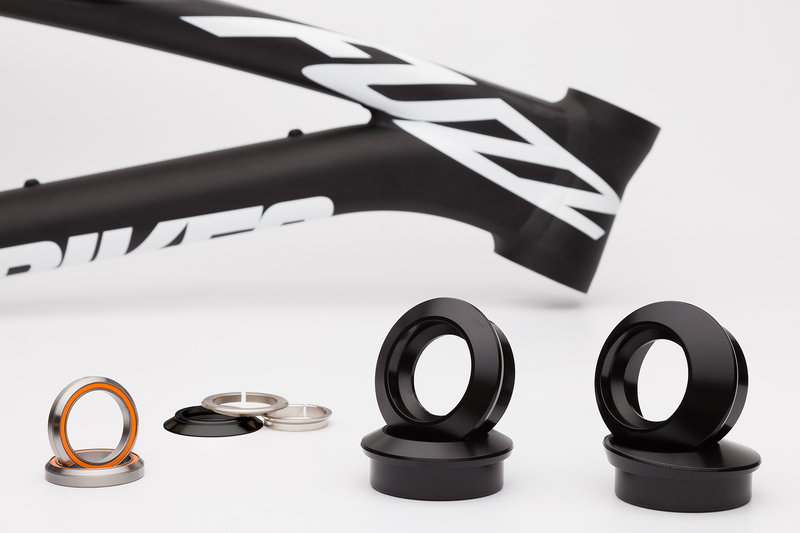 Please go to Fuzz’s product pages for full bikes details.